I know there were a few of you who said you were looking forward to my Fall photos. Well, unfortunately between work, the rain, and a lousy cold, I still haven't had time to get out and do any photography whatsoever. That being the case I thought I'd go through my mass amounts of photos and post some you've never seen before! And believe me I have plenty! 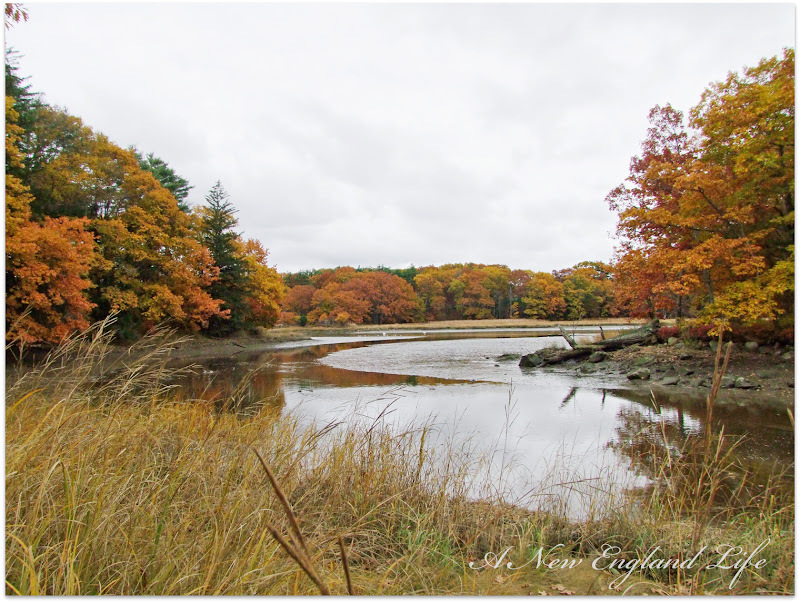 These photos were actually taken 3 years ago along the Oyster River in Durham, NH on an overcast afternoon. I had been shooting up by Mill Pond Dam when suddenly a swan flew overhead, across the road and towards the river. Curiosity got the best of me so I drove down route 108 for a better view. As you can see the Swans were quite a ways off in the distance. No matter how far away, their beauty is unmistakable. Autumn, such a glorious time of year! Oh, it truly is. Busy is good sometimes. Hope you're doing well and I loved seeing this glimpse of fall. Who cares it was three years ago?!! Autumn leaves are beautiful!! I hope you get out for more current shots before the leaves all fall!!! gorgeous pics, all the same when they are three years old - I love pictures from the autumn leaves. Beautiful! I like how the leaves frame that last shot. It doesn't matter when you took them, they are beautiful. Thank you. Your 'old' photos are just beautiful. 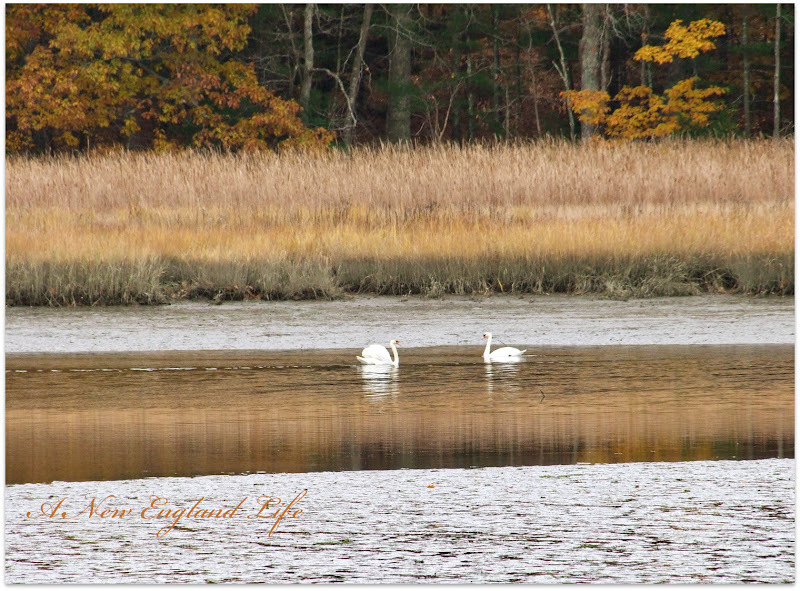 It is so neat that you were able to capture the images of the swans. Hope your feeling better soon and are able to get our and enjoy this wonderful season. Beautiful post! Love the photos. Some friends and I were just commenting yesterday on how it seems that the fall color seems late this year...so maybe you have time yet to feel better and find some time to get some fall photos:) In the meantime these are stunning and will absolutely do! You are right - swans are beautiful no matter what their distance. I love these Fall photos! What gorgeous photos. The swans are so beautiful. I love fall too! Stunning swans & photos! 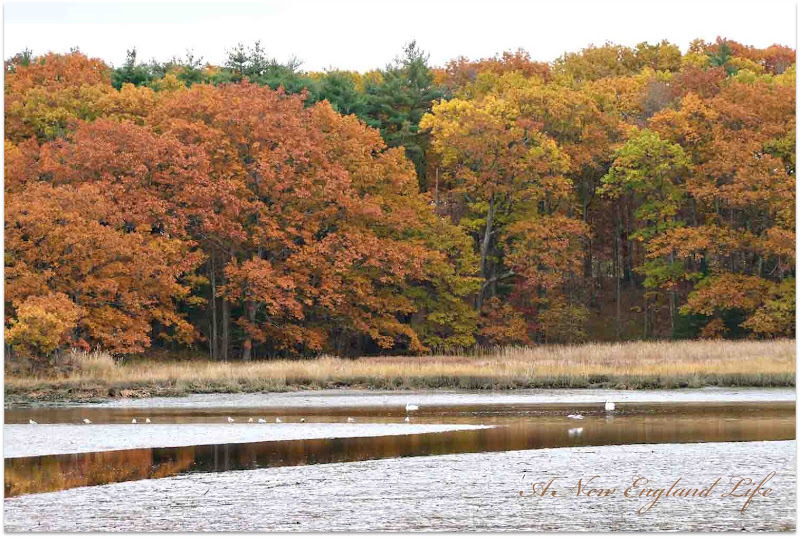 There's no place on earth prettier than New England! I came across your blog this morning and just wanted to let you know that I think it is great! 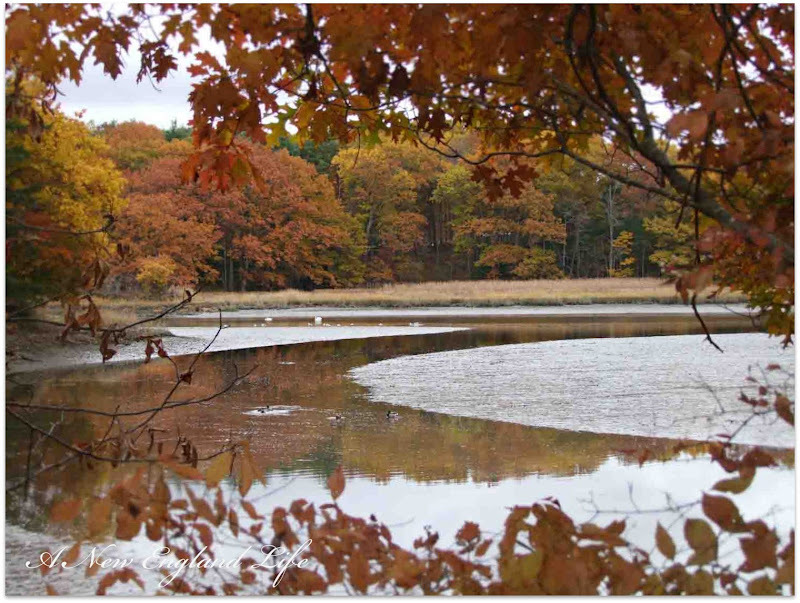 I really like these pictures of autumn. Makes me wish I had gone out more with the camera last month! 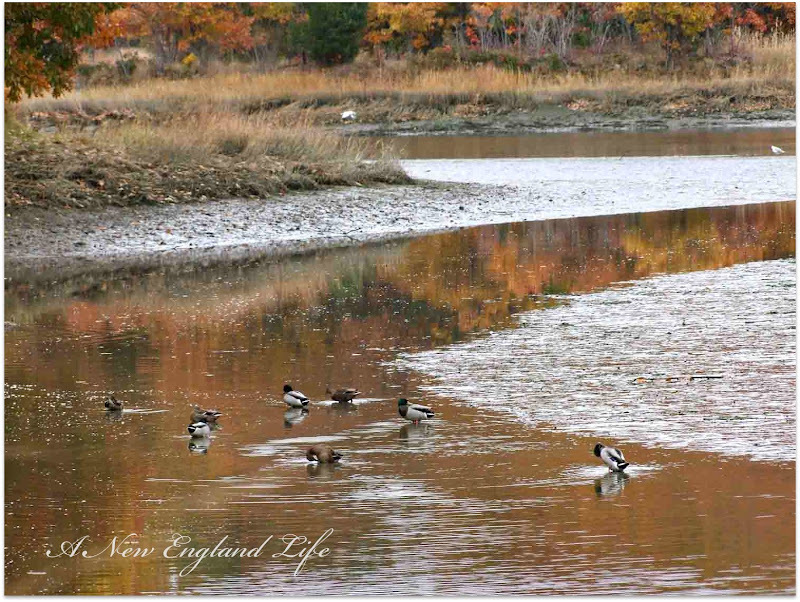 I live in Barrington, NH and also have a photoblog that I update frequently called Seacoast Shots. Feel free to stop by if you're interested and keep up the great work!!! Stopping by to wish you a Belated Happy Thanksgiving! Delightful photos, happy holidays to you and yours, thanks for sharing your inspirational photos through the year. Wow! Are these wild swans? We see them here only rarely, though a few Trumpeters usually hang out on the Blackfoot River. Have you really been gone from blogland since October and I just now noticed? I have thought of you off and on, but thought maybe I just missed your posts since I wasn't blogging much. Have you given it up completely? I seriously thought about stopping at the end of 2012 and was really going to, but I found a blog from England that really inspired me. Now I have changed my format to be similar to hers and what I blog about. I find I am actually enjoying it again with no care as to whether anyone visits or comments. It is really more for me now and a place to journal my thoughts and an outlet for creativity. I'm using other people's pictures as much as my own and just making collages with them, things to inspire and lift spirits. It makes me happy to play with it. I was so tired of all the other blogs and seeing everyone's houses. I think Christmas is what did me in. It was just overload, even though it was pretty. There are really only a few blogs out of the thousands that I truly loved to visit and yours was always one of them. Just wanted you to know I miss you, your beautiful photos, and your way with words. The French Kissed post from today is a really good one to read about why we blog and it confirmed all the more the changes in my view and format. Miss you and love you from afar. Sharon, such lovely lovely photos. We miss your blog. Please come back with some new posts! Hi Sharon: I hope you keep up your blog. I love it so much. I miss New England terribly and love looking at your pics. Hope all is well.